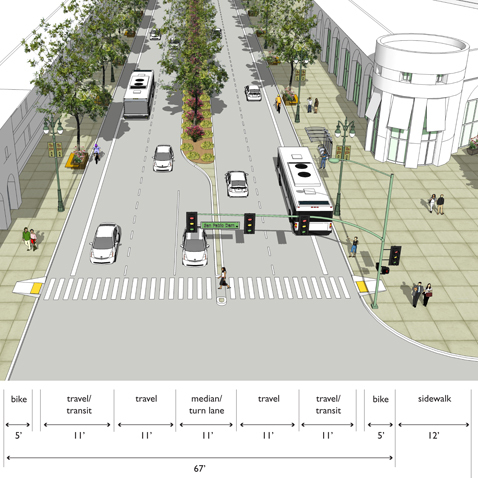 Dyett & Bhatia prepared a Specific Plan for the entire two-mile stretch of the San Pablo Avenue corridor in the City of San Pablo. 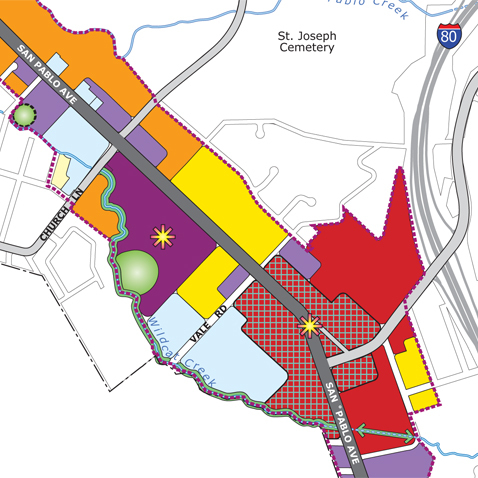 The corridor is the City of San Pablo’s central spine, with a wide range of land uses and major institutions, and encompasses 80% of the city’s development opportunity sites. The Specific Plan seeks to establish the avenue as a memorable boulevard, and provides a framework for mixed-use and transit-oriented development, with livable and pedestrian-friendly urban spaces. The Plan was adopted September 2011, and includes detailed streetscape recommendations, and design standards and guidelines. A full EIR was also prepared.